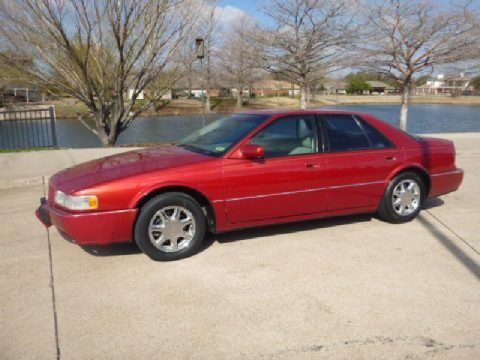 This 1997 Cadillac Deville STS runs and drives great for such an affordable vehicle. The 4.6L V-8 purrs and the automatic transmission shifts smoothly. This Cadillac is loaded with options including leather interior, power windows, power locks, power mirrors, power seat, cruise control, and more! If you have been searching for an affordable cash car, then this is the perfect vehicle for you! This one is sure to sell quickly, so you need to call Metrocrest Sales immediately to schedule an appointment. Don't miss out on this great deal!